Do you believe in fate? Destiny? Density? Sometimes the stars align, the right people are in the right place at the right time, and it’s…magic. Or something like that. If you don’t believe in that kind of thing, keep reading, you will by the end of this story. This is Ginny. 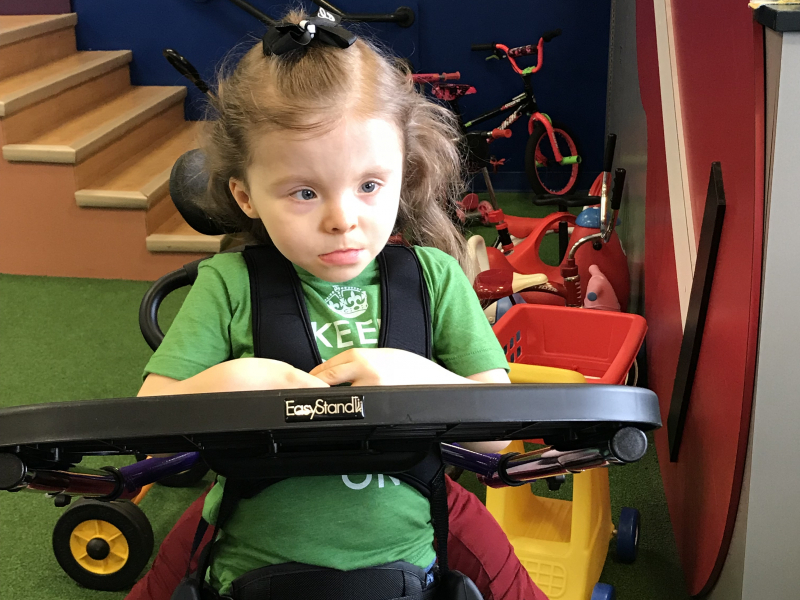 She’s four years old, she lives in Clarksville, Tennessee, and (spoiler alert) Chive Charities is giving her an $11,000 grant for a new wheelchair, activity chair, and this cool stander contraption that, to paraphrase her mom, will get her off the floor and up with the rest of the family. 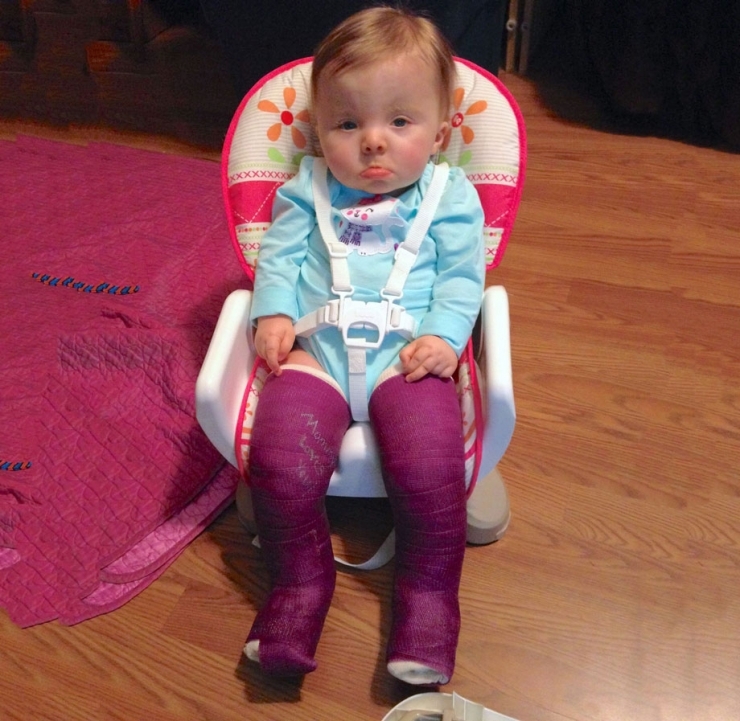 You see, Ginny can’t sit, stand, or walk on her own because of an incredibly rare genetic condition. 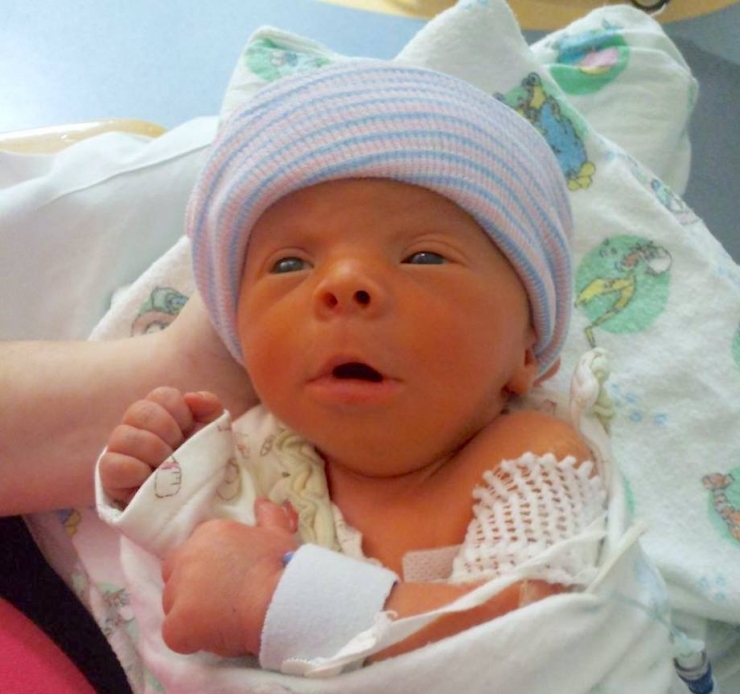 She was born a month early and quickly diagnosed with trisomy 12. There are less than 50 other known cases in the whole world. 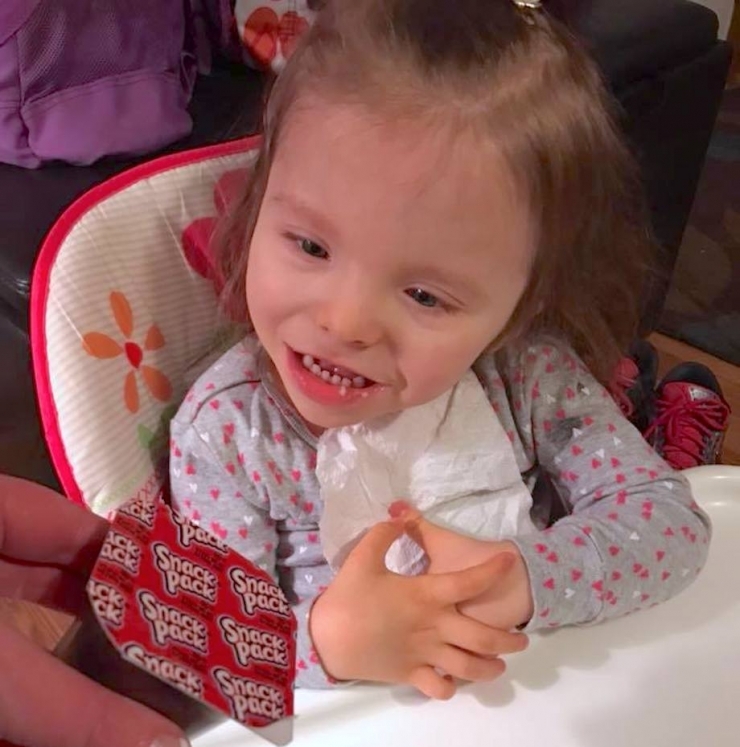 Patients with trisomy 12 have a duplicate 12th chromosome and typically have distinct facial features including prominent cheeks, a high forehead, and a (rather adorable) prominent lower lip. 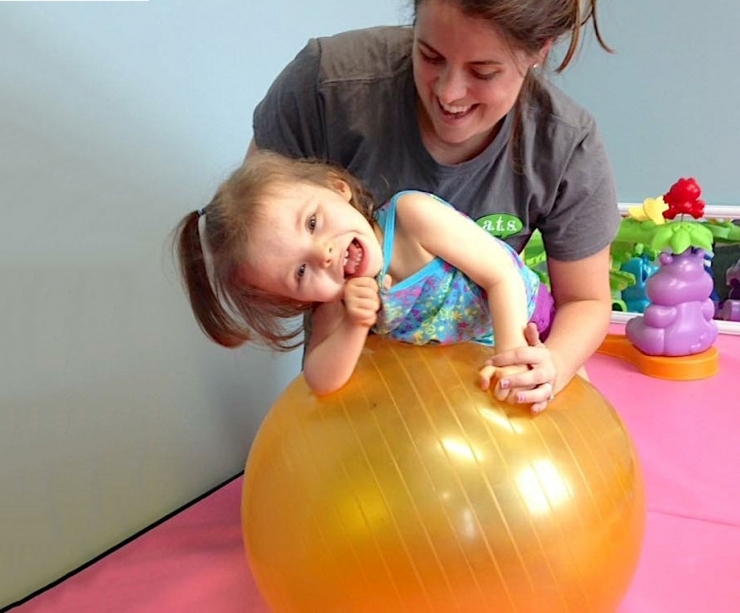 By the time she was a year old, Ginny had been admitted to the Children’s Hospital at Vanderbilt 56 times and had endured two surgeries. 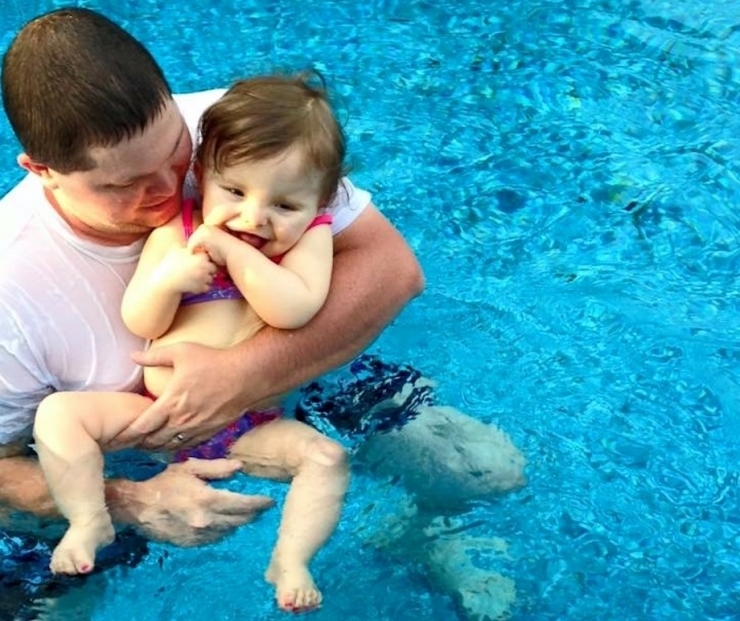 With so few patients in the world, Ginny’s prognosis is a bit of a mystery. 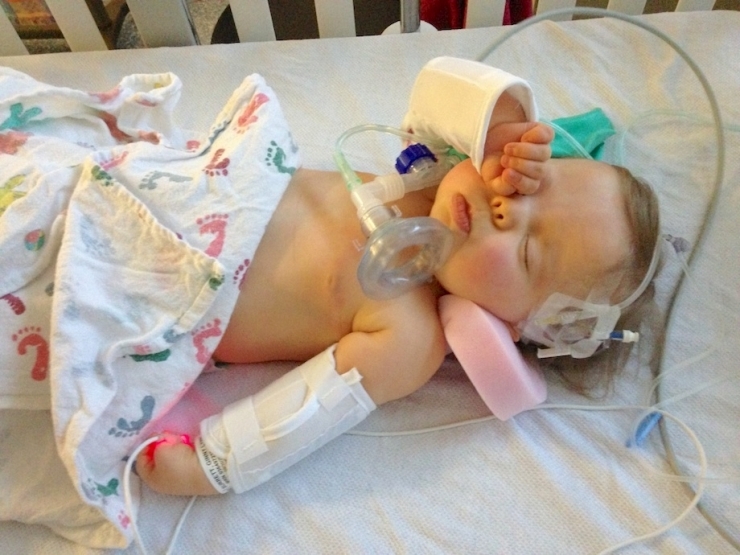 But her family really couldn’t care less – they love her to bits and they’re fighting to give her the best life they can. And good lord, it’s been a fight. 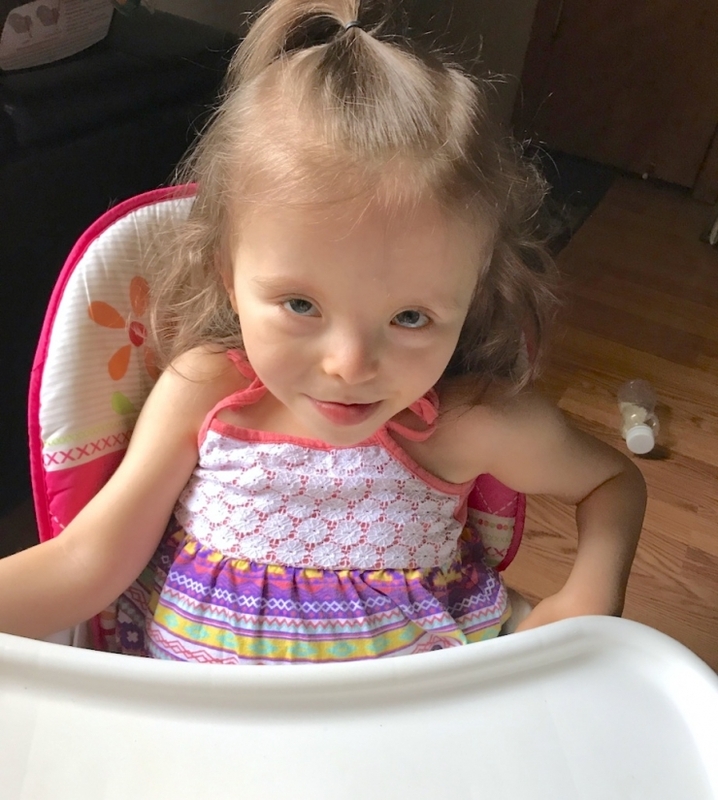 Ginny’s mom Bethany told me about fighting with their insurance company for physical therapy and basic needs like leg braces and hearing aids; fighting for supplemental security income to offset their mounting medical expenses; and sometimes, fighting just to feed their daughter. Ginny has an oral aversion and can’t tolerate the texture of most foods. She likes yogurt and pudding, but everything has to be completely smooth. 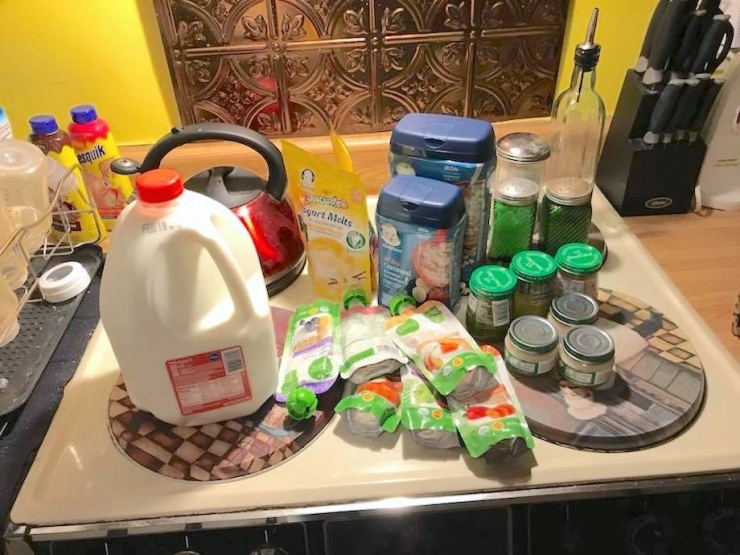 Bethany and her husband both work full time, and they have another little one in the house to care for, so in the interest of time and sanity, baby food makes the most sense. Do you have any idea how expensive baby food is? The short answer is: very. 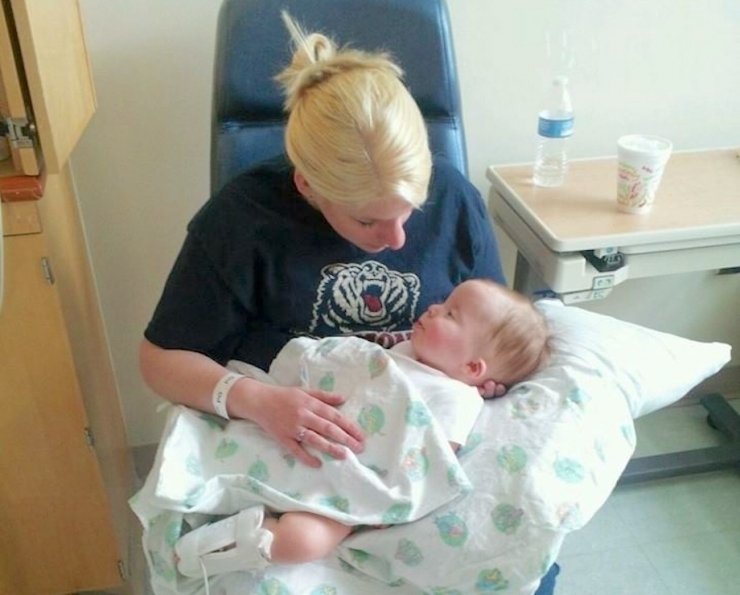 Bethany worried she wouldn’t be able to feed her child – can you even imagine?? – so she asked the universe for help. The wheels of fate began to turn. 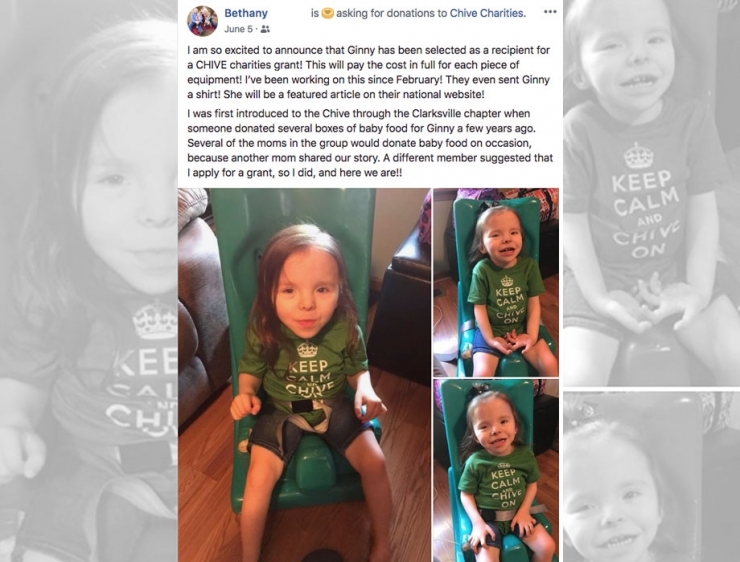 A member of the Clarksville Chive chapter saw her post, and offered to give Bethany some leftover baby food. Oh, Clarksville. You guys are so good. 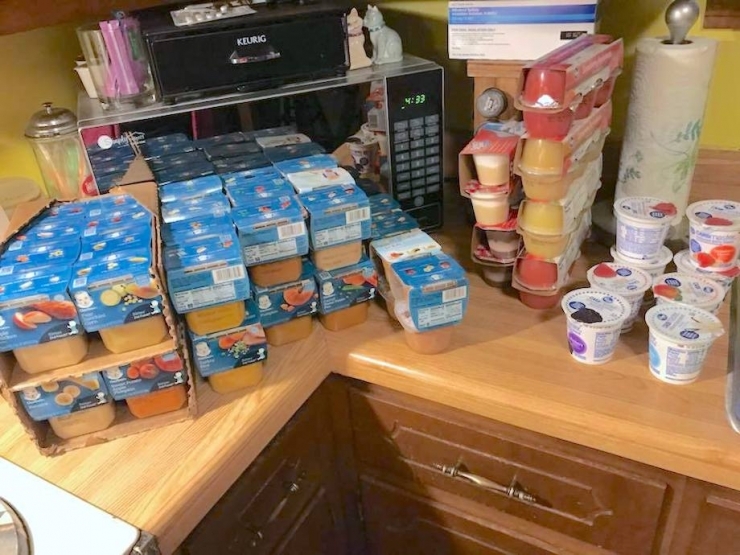 They spread the word and collected a ton of baby food for Ginny. 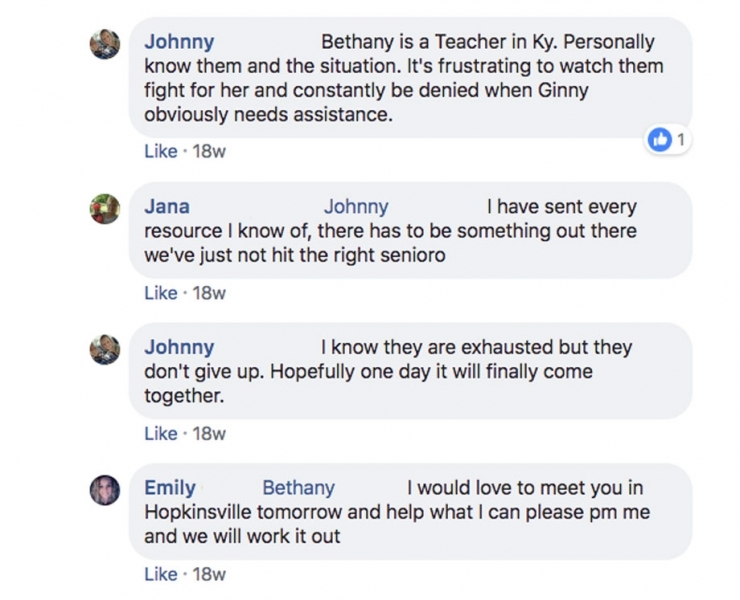 They kept in touch, formed friendships with Bethany and her family, and on more than one occasion, went above and beyond to make sure Ginny had the food she needed. And, they told her about Chive Charities. See? Destiny. 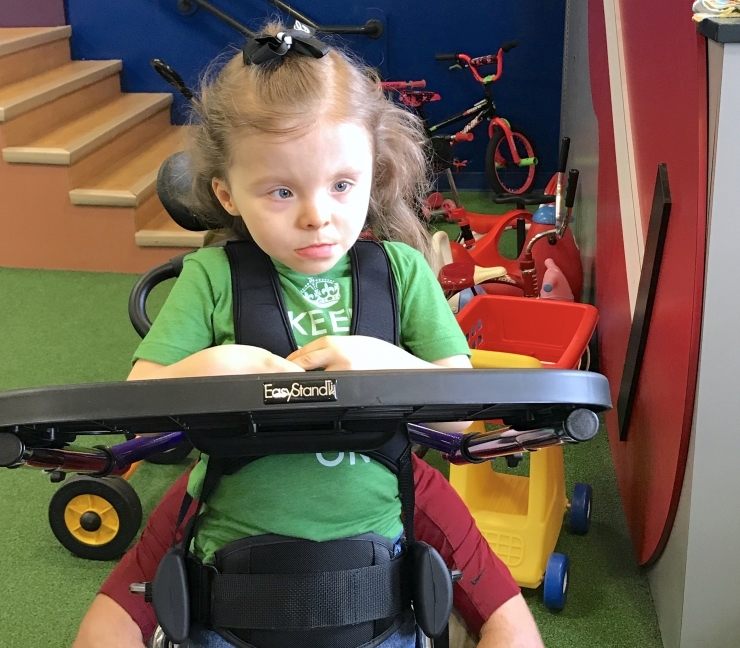 Ginny’s in the process of being fitted for her brand new equipment, and it should be delivered in the next few weeks. We’re sooooo happy for her! Chive Charities is committed to championing the underdogs, being the YES in a sea of NOs that can make even the strongest feel forgotten. Will you be the YES for the next underdog like Ginny? Become a monthly Chive Charities donor right HERE. P.S. 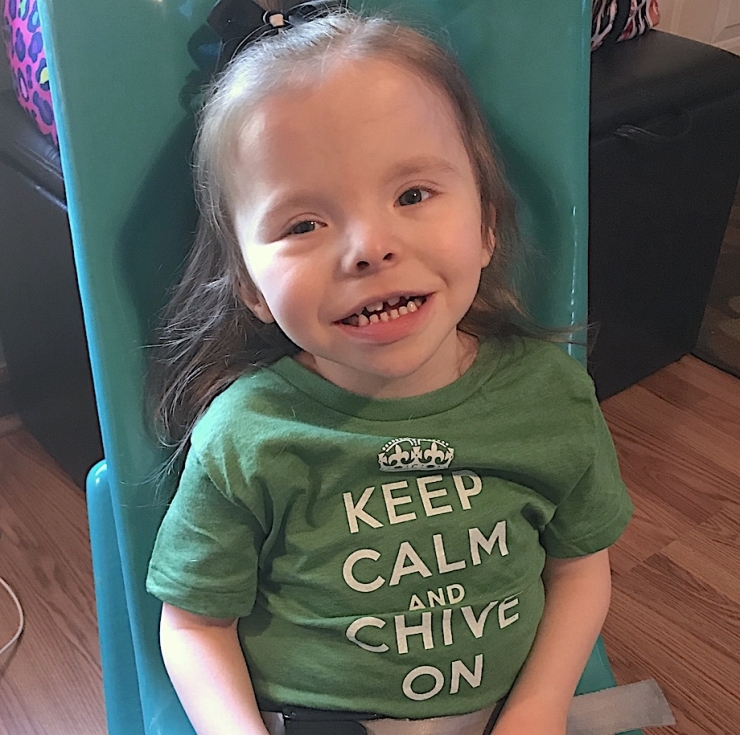 Chive Charities is thrilled to welcome our very first recipient from the great state of Tennessee! What took y’all so long?? ?